Who among you doesn’t enjoy an ice-cold glass of Coca Cola served with your favorite dish? None, I bet. Indeed, Coke has been a staple in most families’ dining tables all around the world. Incidentally, 2012 ushers in the 100th year of Coca Cola. To commemorate this special year, Coke elected Caloy as Coca Cola’s President for Happiness. Unlike other presidents, this one’s main job description is to make you, me, and the rest of the world HAPPY! The President for Happiness’ first decree was to give FREE Coke to everyone last Saturday, February 4th, and for three straight hours (1:30-4:30PM), happiness flowed freely in various participating outlets and establishments. This event is truly a remarkable way to commence Coca Cola’s celebration of 100 years. 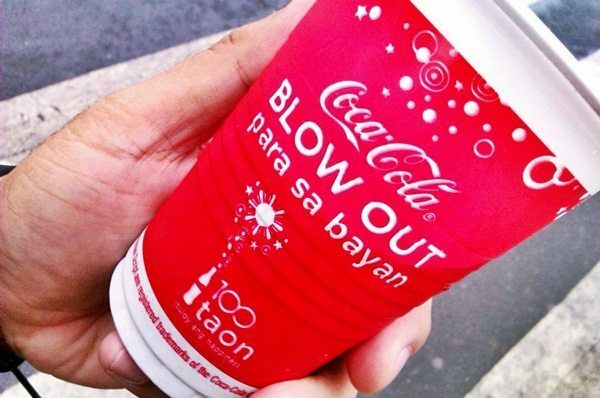 I’m excited for upcoming promotions and a much wider spreading of happiness from Coke.